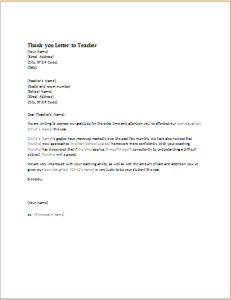 A thank you letter to a teacher reflects the true love and respect for that teacher. Just think of a teacher, who has inspired you in all manners and made you what you are today, you can greet them by sending a thank you letter. These letters are mostly sent after the results of the exams. A few examples of a thank you letter include the following lines. “Thank you so much, sir, for making what we are today”, “thank you so much for teaching us the right thing in life”, “thank you so much for encouraging me to learn more and work hard”. The thank you letter can also be sent through emails, but it’s preferable to send in a handy document. Thank you letters are very helpful in greeting someone personally. These letters reflect your love and loyalty towards the other person. These letters can be sent in a variety to anyone you want to greet. A thank you letter to a speaker carries the same meaning. Thanking a speaker after an event may increase the chances of your great relation with the speaker. Moreover, a person can also thank the speaker if he/she is invited as a guest to an event. These letters are handy documents, but in some cases can also be sent through the mail. These letters truly present the respect against that person. Now, if you have some kind of adversity in writing a thank you letter, the internet can comfort you. 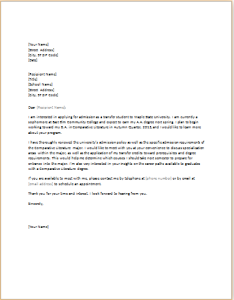 Find the best writer who can write you a professional reference letter. 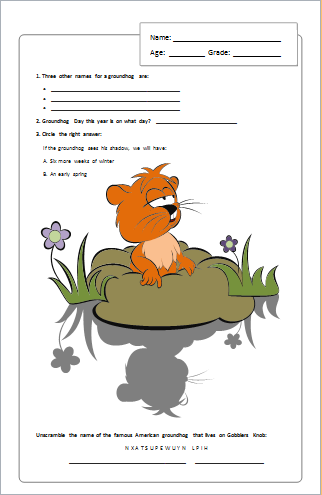 Write about all the activities and interests you have. Write about your best grades and result you had while you were studying. Tell them about your skills and things you are an expert in. Be general and specific, to the point you are making. Give the examples, if you can. Identify the abilities of a student. Also, includes your affiliation with them. Give many pieces of evidence of the student’s knowledge he gained. There are several other things that should also be kept in mind while writing a professional reference letter for the students. The relationship between a student and teacher is very important. Besides teaching, the teacher in a class is also responsible for the grooming and personality development of the students. For a class of 20 or more, it is not easy for a teacher to remember the names and bios of each student. For that purpose, they request the parents for a student profile information letter that helps the teachers to know each student very well. 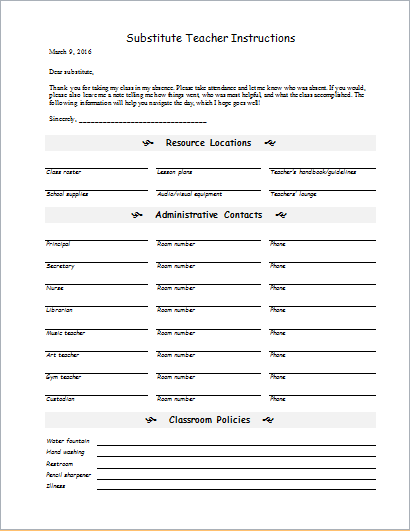 A student profile requesting letter not only provides information about the student but also gives the total control of the students in the class. 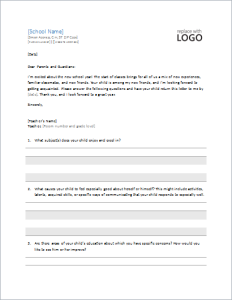 Therefore, all the parents are asked to fill each portion in the letter. That helps the teachers to understand what the level of student is! 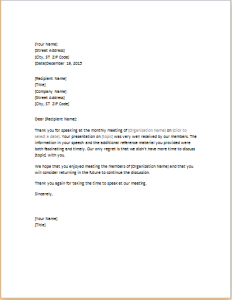 A letter is a type of printed communication between two or more than two people. 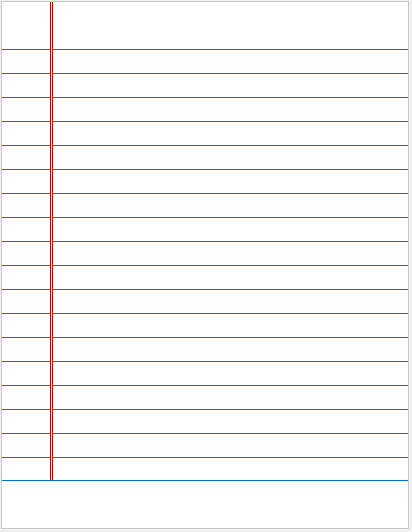 A letter describes all the information, a person wants to convey. It basically goes from person to person, within the company or to another company. And the same happens in a school, i.e. Between teacher and parents, principle and teachers. 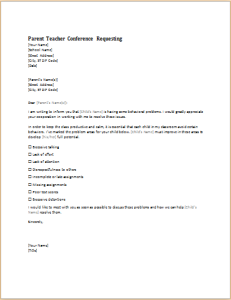 Whereas, a parent-teacher conference requesting letter describes the need for communication between the teacher and the parents. 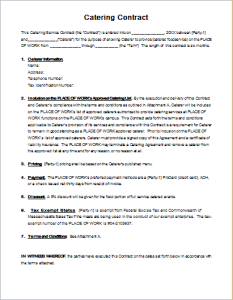 It is a handy document granted to the students by the school authority. Usually, it happens in a month or two. 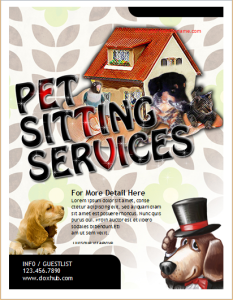 This request allows the teacher and parents to sit for some time to discuss the progress of a student in the class. This parent-teacher conference is very important as it allows the parents to directly get in touch with the teachers, teaching their children. 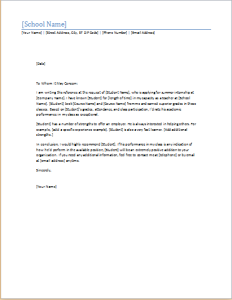 Firstly, ask your teacher if he is comfortable to write a strong recommendation letter for you? You will hear a few saying that they cannot write, but most of them will never deny. Secondly, don’t be shy while requesting the letter. Always pick your writers well. Because of the writing quality and content used affects a lot while you are applying for the job. 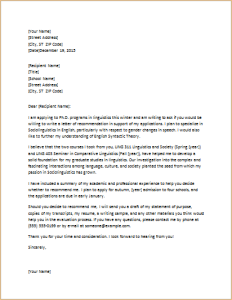 The graduate school recommendation letter plays an important role in deciding whether you are admitted to the graduate program or not! It is almost required for every graduate school admission application. As the grading and test score factor matters a lot, so it is mandatory to request a recommendation letter from your previous school. 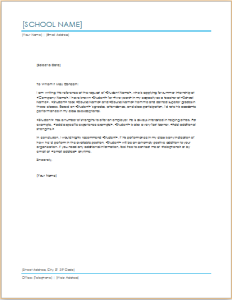 Every student has all the rights for requesting this letter and you can say that the future of the student depends on it. A letter of recommendation increases the chances of your admission. There are a few things that should be kept in mind before requesting a letter. First, make a list of teachers that could be your best advocates. It is highly recommended, not communicate them through email. In fact, meet them in person. Secondly, look for a potential letter writer, who could present you as the best-known student ever in a professional way. A college is a place or you can say it’s an institution where individuals are provided the higher education; the start of the education takes place from going to Pre-School, the middle and then high school. Sometimes due to some reasons, individuals need to change their colleges. The most common reasons are the distance of the college from the home or unsatisfactory performance etc. When a person decides to change the college, then a college transfer letter is requested. 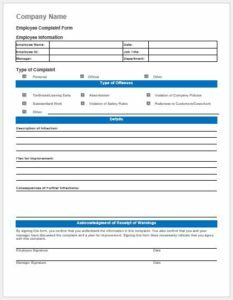 The college transfer meeting request letter assists the student in discussing the programs and the requirements of the college with the adviser and it makes getting admission in any other college easy. 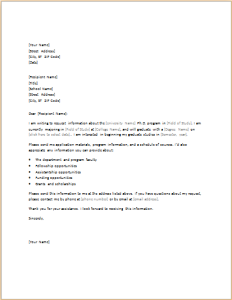 College study program information requesting letter is a specific letter that is used to get study program information in a particular institute. This letter is sent through mail or post to the concerned department. You can also apply online for the subjects you would like to choose and the requesting letters are also written to know about queries about your field of study. The information may belong to an area that is not explained in detail online. Different programs have different requirements and eligibility hence one may need to know a few information in detail. 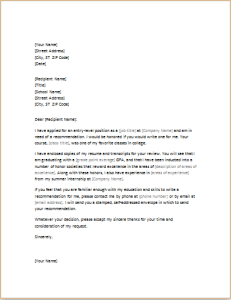 Utilize this format of a letter to ease your job.